I’ve said this many times before but oh man, one year old’s are the BEST! You guys, they are just so sweet and cute and (most of the time) easy to photograph. 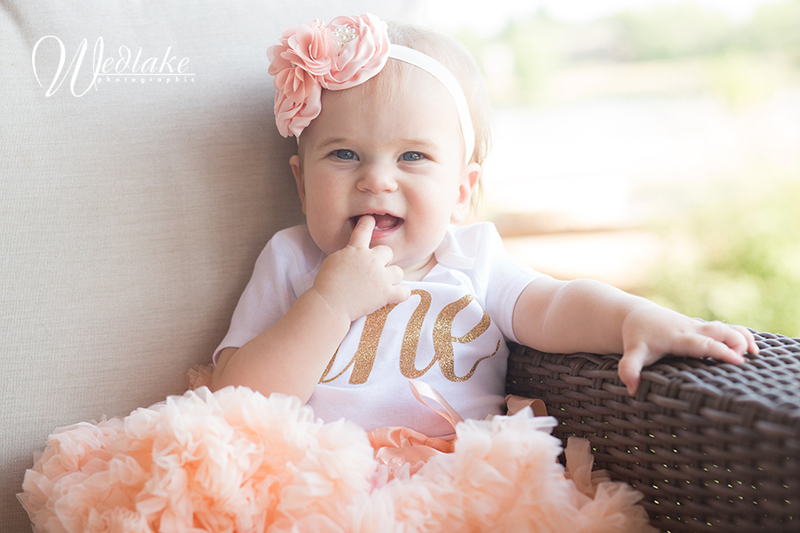 Olivia was no exception and I was so excited to photograph her on her actual first birthday. The very day! 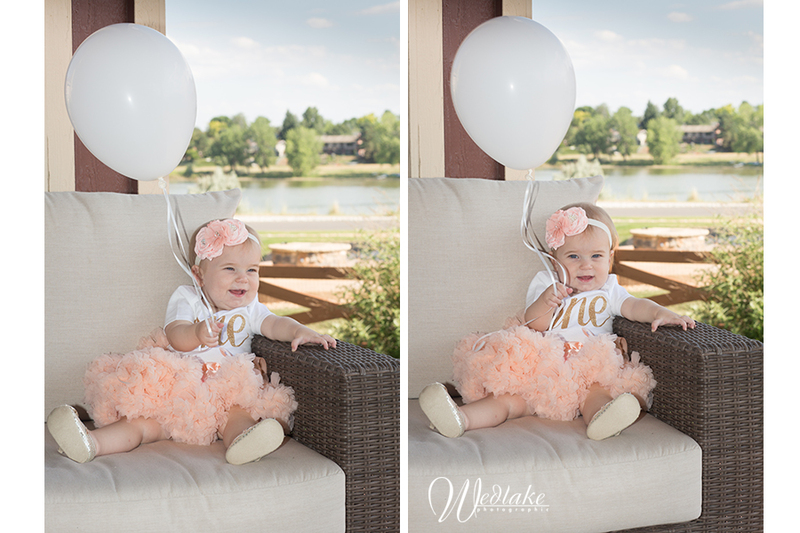 I started out lighting her portraits to bring in the lake in the background but every time my strobe lights went off she blinked so I quickly switched to natural light. This made for a happier baby and beautiful (just different) lighting! This might be my favorite – Olivia smiling at her mommy and daddy, off camera. I don’t know though, these are pretty cute, too! She’s not quite walking but she’s got the crawling thing down pat. One year old kiddos take in the world around them and it’s delightful to follow them around with a camera and see what they see. We saved the cake for last (like any reasonable cake smash photographer would), Olivia looks like she’s saying, “bring it on!”. One year old cake smash sessions are fun to photograph, you never know if the baby is going to dive right in or be completely dainty about the whole thing. Olivia was in the dainty camp ( : Oh Geez, so adorable. Happy, Happy Birthday!